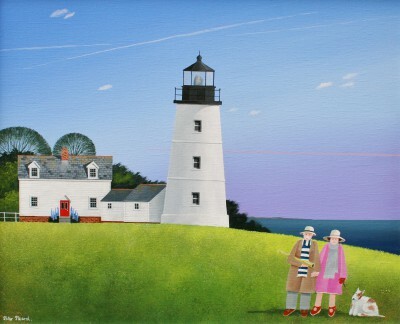 Peter Heard was born in London in 1939. 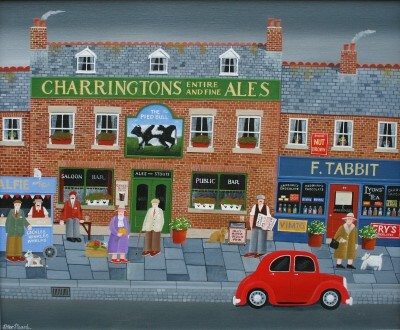 His early career was spent as a Civil Engineer and it was the 1970's before he began painting. He is a self-taught artist with an enviable reputation for his use of graphic compositions, bright colour, minute attention to detail and speckless finish. 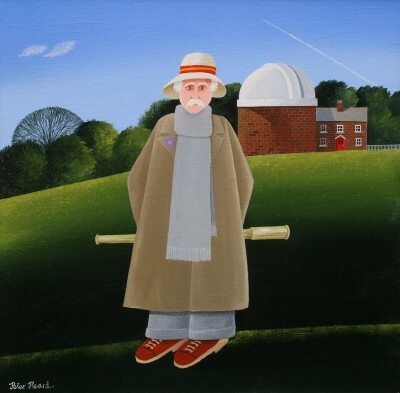 Peter's early paintings were highly detailed, sophisticated and intricate compositions usually depicting quintessential English villages or portraits of the eccentric English at their sports and pastimes, observed with humour and graphic wit. 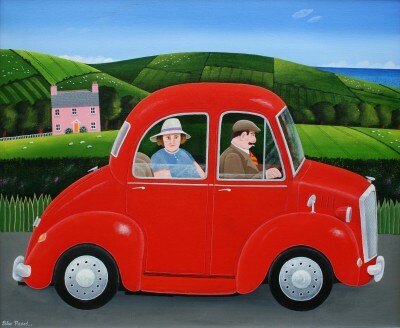 Today Peter Heard has established international recognition for his highly collectable paintings of the much loved 'naive' genre. 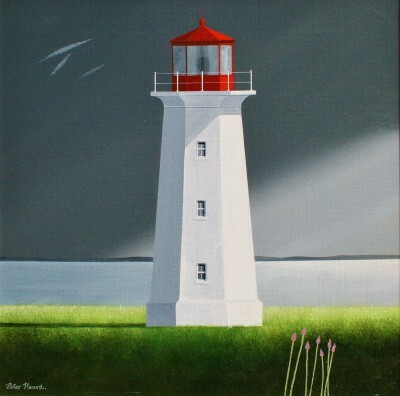 Following a visit to America's east coast where Peter Heard observed the towering lighthouses of North Carolina's Outer Banks, his paintings took a dramatic change of direction. 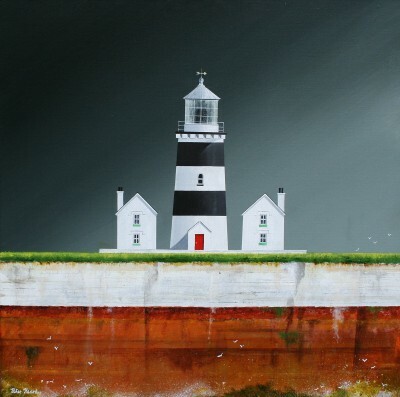 Always fascinated by light and structure, Peter began a stunning collection of fabulously graphic lighthouse paintings 'a magnificent obsession.' He sees these as a culmination of a 35 year career and refers to the first 25 years as 'an apprenticeship' allowing him to perfect his technique. 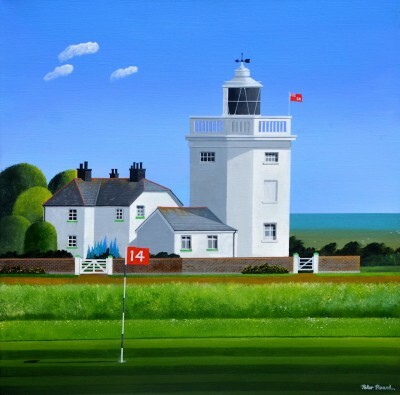 He is now one of the UK's finest and most prolific living painters of lighthouses. 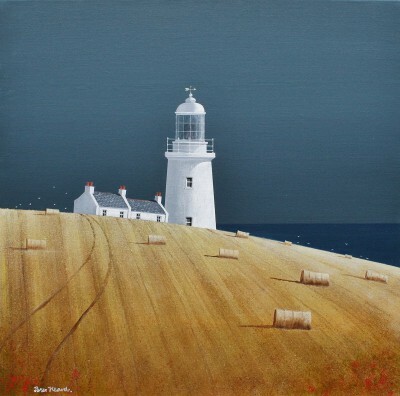 He is well-known in the USA as well as Britain - not just for lighthouses, but for for his pictures of boats, women, landscapes, buildings, cars and animals. 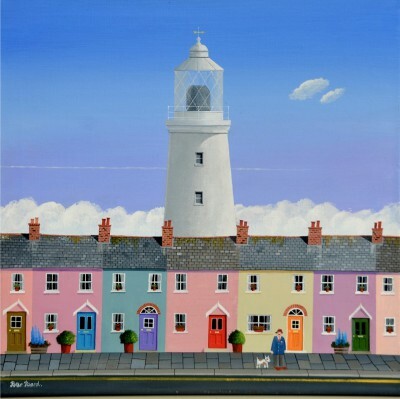 In 2006 Peter Heard moved from London to rural Somerset, to a quiet picturesque English village on the edge of Exmoor. 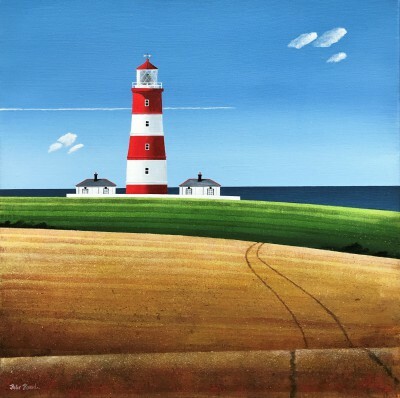 The influence of the British West Country surroundings features extensively in his later paintings depicting a combination of graphic landscapes and figurative painting. His stunning landscapes have strong forms and colours, yet are intimate and atmospheric as a result of his skillful use of light and shade. 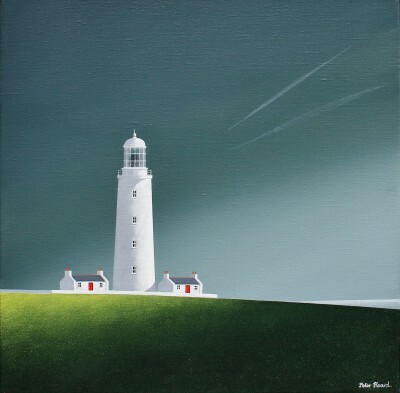 Pared down, simple compositions and beautiful rendering of colour are Peter's trademark style. Peter says: "As you get older you divest yourself of everything. My paintings are getting emptier. I used to paint thousands of people. When you get older and more comfortable with where you have been, you're naturally looking more at spaces and colour so details start to drop off." In addition to Red Rag British Art Gallery Peter Heard paintings have been exhibited at other leading British Art Galleries. 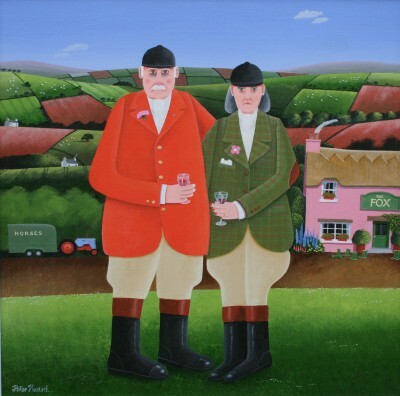 Each painting at Red Rag is sourced from the Peter Heard artist studio and like all Red Rag British art and Contemporary art it can be shipped worldwide. 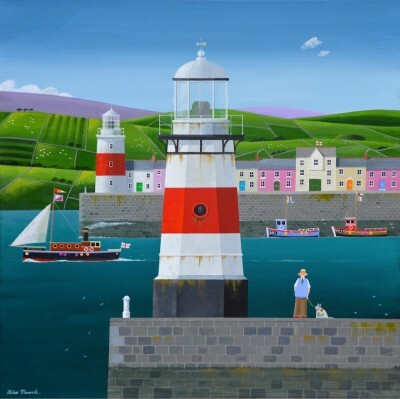 Artist Peter HEARD is one of a growing number of artists whose modern art works feature at Red Rag Gallery in Bath. 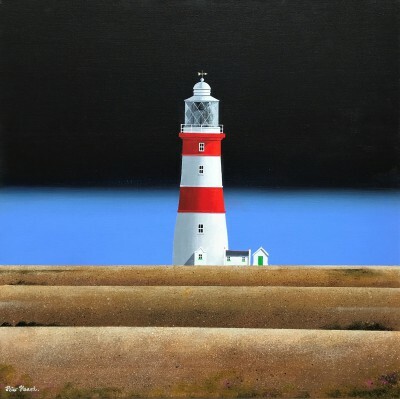 Modern art work from Peter HEARD is regularly exhibited at the Bath art gallery which also offers an extensive choice of modern art, contemporary sculptures and collectible art prints from other present day artists. Should you wish to buy or require further information about modern art from Peter HEARD please contact/email Red Rag Modern Art Gallery or alternatively contact Red Rag on the number below.